Take a short detour from the Glenelg Highway for swimming, fishing, picnics and barbecues at Nigretta Falls, a small waterfall fed by the Wannon River. View the falls from above and enjoy the picnic tables and barbecue facilities or take the stairway leading to the base, where water pools provide excellent secluded swimming and fishing spots. See the falls in full flow after heavy rains. 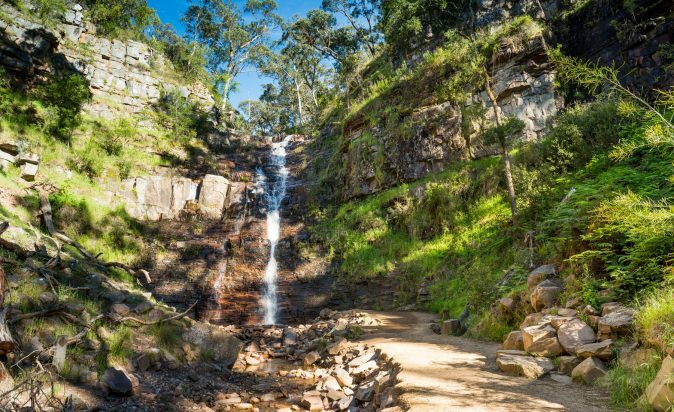 Splitters Falls is just a short walk from Halls Gap in the Grampians. From the centre of town, follow the path along Stony Creek to Venus Baths, a series of rock pools popular for toe-dipping on warm days. From here, take the stairs to the tranquil setting of Splitters Falls. Alternatively, you can drive up to the Wonderland car park and follow the river downstream past to see the Splitters Falls. The best time to see the falls is Spring, as the wildflowers that surround the falls are popping with colour. The Splitters Falls is seasonal and may dry up over summer. 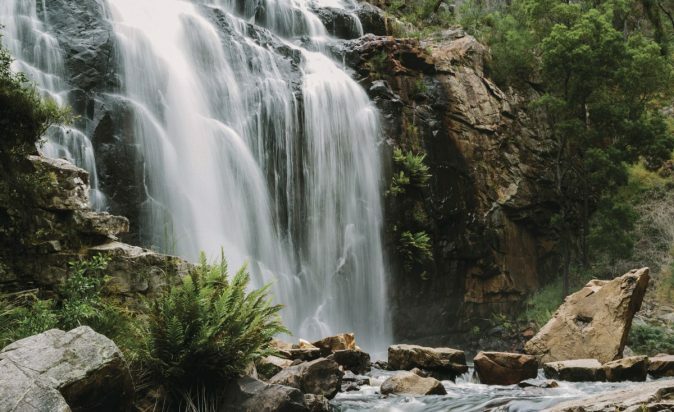 The iconic and spectacular MacKenzie Falls is a must do for all visitors to Grampians National Park. MacKenzie Falls is one of the largest waterfalls in Victoria. Flowing year round, watch the water cascade over huge cliffs into a deep pool, sending fine sprays of rainbow mist high into the air above a stunning gorge. To see the falls, take the easy, one-kilometre path to the viewing platform at the Bluff (wheelchair accessible), or the steep trail to the base of the falls. Starting at Silverband carpark take a short stroll 700 meters through shady, ferny forest to arrive at the base of Silverband Falls. Watch the clear water fall fast down the mountainside and run into the creek below. Visit in spring to see wildflowers in abundance as well as animals like birds, frogs and kangaroos in their natural habitat. 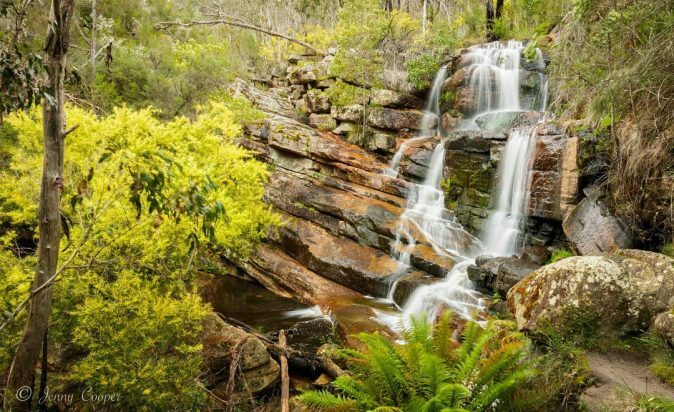 This is a hidden gem in the Grampians National Park. It is accessed via the unsealed Rose Creek Road, leading off to the south from Mt Victory Road. From the carpark take an easy five-minute walk to the falls viewing area. 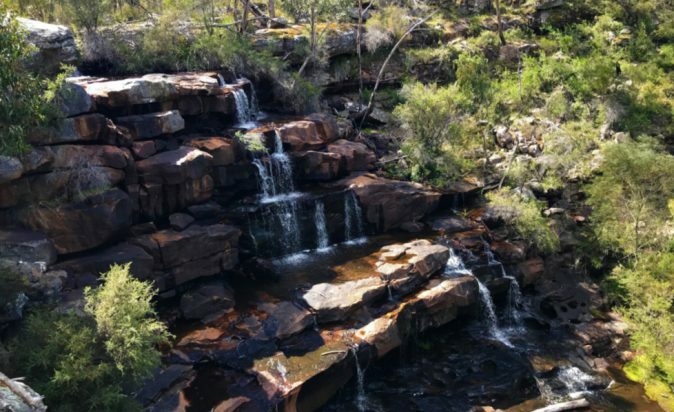 Burrong Falls is not as well-known as Mackenzie Falls, making it the perfect hidden gem that you can relax at in peace and enjoy the quiet serenity without the crowds.